Amy Molyneux and Helen Johnson of Lelloue, tell us about their new label where runways meets resort design and glamorous globetrotting women are always front of mind. Helen and Amy, tell me a little about yourselves? Where did you both grow up and how did you meet? I’m a British businesswoman born and raised in Leeds, Yorkshire, and now currently residing in Cannes, France. I have always been intrigued by travelling starting with moving & living in Oz when I turned 18! With a keen and lifelong passion for fashion, design and travel, my eclectic lifestyle has helped my eye for detail and my instinct for design. Amy and I were introduced over dinner at my (Helen's) winter home in. It was there we shared our mutual love of fashion and design. After our first informal meeting it was clear we immediately clicked – With my (Helen) vision and Amy's design background making a. We agreed it was time for resort & couture to meet and Lelloue was born - the name having been borrowed from a sentimental family nickname given to Helen as a child. Helen: How did Lelloue come to be? For a long time I had the desire to create something that would encapsulate my 'follow the sun' mentality' for the woman who travels the world! ” I love to travel & lucky enough to have been all over the world. My struggle was to find the perfect pieces that work both day & night. I generally buy a special outfit for that specific event. Which after time became impossible to pack for. (As a women we can all relate to those ‘over-packing’ issues!) Often the events I would go to involved beach parties, boats & evening dinners…with no time to spare to go home & get changed. Now there is no need. Lelloue is the label for that lifestyle. Helen: How is working for a Fashion Label a different experience to your past adventures in say interiors or events? Fashion & interior design/events are similar in many ways. However, Fashion is a form of art. I have always had an artistic & creative personality. The difference being that with interior design/events is the feel and the quality and the functionality of the interior environments we live in every day. Whether it be a home, office, villa, apartment or boat. Equally as an event. Its specifically tailor made to that specific request of the individual. Owning a fashion label & creating something for the women like myself allows you to be free creatively. Lelloue is designed for the international woman with a jet-set life style. I get to bring my favourite era of 80's/90s glamour to the collection, which is is something you cannot do in interior design (unless requested...lol) For me, finding influences from my travels from colours, tones, patterns & hardware is the fun side of fashion. The Lelloue woman knows that with her swimsuit & gracious attitude she can be anywhere and feel like a goddess. You'll see her dancing at pool parties in Ibiza, tanning on the beaches in the Caribbean or masquerading on the super yachts in St Tropez. Just as easily as you would find her in a tranquil setting at a friends BBQ. Amy: How do you think becoming a mother has changed your style? What was the inspiration behind creating a swim and resort wear label and what makes Lelloue different? Helen: We hope we really understand what women who travel are looking for (as we travel a lot personally), generally all consumers are becoming more global in their outlook so we have tried to adapt our collection to accommodate that way of thinking. The idea of the collection is that you can add and take pieces away, ensuring it can be worn in all types of climates. From my point of view the inspiration comes from spending most of my time in a bikini. Every summer it feels like swim trends are moving towards every day fashion. Weather it involves ruffles or halter-neck, hard-wear or prints with a feeling of a more dressed up look for poolside or beach days. Lelloue makes the perfect après swim wear wardrobe effortless. From a design perspective Lelloue is a ‘real brand’ firstly, my design inspiration being around Helen, she is the Lelloue Woman. Many brands are trying to know their customer and I can call ours up and ask her where she’s going and what she wants and make her desire three dimensional. This is when the magic happens. 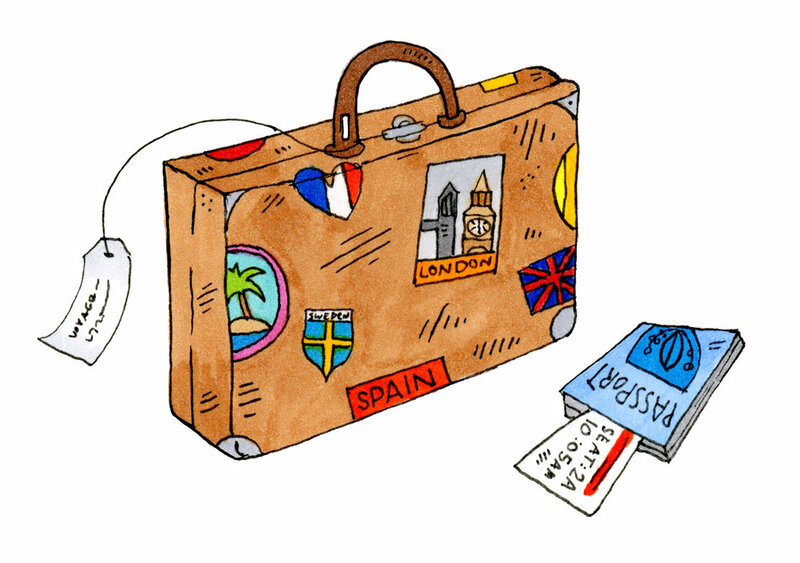 What are your five must haves when packing your suitcase? 1. Lelloue stripe kaftan. Versatility is key when packing. With all the beautiful colours in this you can mix & match with different outfits. Creating an alternative look for many occasions. 2. Swimsuit -Lelloue (of course...) This can double up as a top worn with a pair of shorts, skirt or under a kaftan.. I love the structured Leopardisation swimsuit. Teamed with a kaftan for the day or tulle skirt. Perfect for those romantic evening dinners on the beach! 3. Jumpsuit. I love a jumpsuit. Easy to pack & can be dressed up or down, worn together with a pair of heels, belt, tailored jacket and a statement bag! Or, for a more casual look... flats, hat an a beach bag! J'adore! 4. Always take a pair of heels!! ESSENTIAL!! I usually take a pair of metallic strappy sandals. They tend to go with most outfits which 'saves space in your case'! 5. Accessories: To change any outfit... pack a 'Go to Bag', Hat, belt, shades,scarves & headband/turbans and of course jewellery. with it’s versatile bias cut panels. 2. Vintage Givenchy Perfume, Nostalgic and reliable. 3. A wide brim mesh sun hat ...the kind you cant damage. 4. Lancaster sun tan lotion ....The smell is fabulous. 5. Chunky Gold costume jewellery ...the icing on the cake.